Entering his 435th day as Universal Champion, Brock Lesnar has today smashed another beloved wrestling record, toppling CM Punk's mammoth WWE Title reign which lasted between November 2011 and January 2013. The impending collapse of such a hard-fought record has been the subject of some controversy, with the two title reigns diametrically opposed in prestige. 'The Voice Of The Voiceless' and current UFC punching bag was understandably braggadocios about his 434-day run at the time, so rare was such a stretch in the modern era. 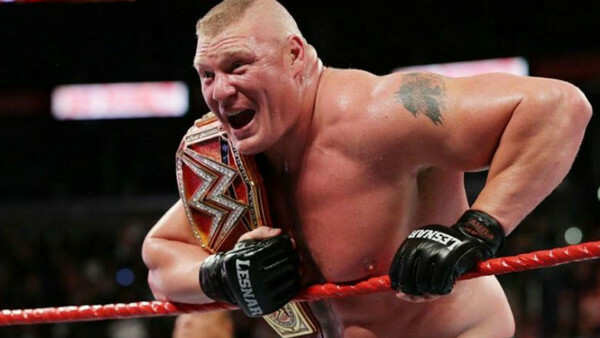 By contrast Lesnar has been a flat-track bully with the title, with just 10 defences on pay-per view, five on house shows and zero on television since defeating Bill Goldberg at WrestleMania 33 in April 2017. Punk had doubled that total amount of defences less that two months into his tenure, ultimately reaching 141 before dropping his precious prize to The Rock ahead of 'The Great One's contentious WrestleMania rematch with John Cena. Whilst there is no scheduled defence currently agreed, Lesnar still has some way to go to catch the next record. Hulk Hogan held the WWE Championship for 1,474 days between 1984 and 1988 as Vince McMahon's Sports Entertainment empire became a pro wrestling phenomenon, but it might take a force even stronger than Hulkamania to stop the former 'Next Big Thing' in his tracks. Roman Reigns' repeated inability to do so has opened up a spot, but it's unclear yet just who will break out from the roster's rank-and-file to rescue the red strap from Brock's iron grip.